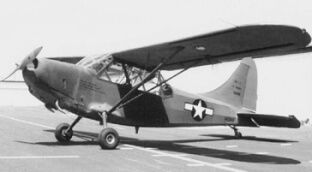 Following WW2 the company introduced the Model 108 to compete directly against Cessna and Piper. 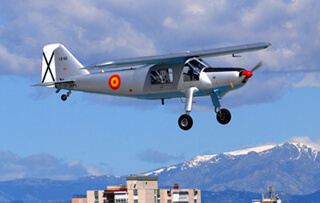 Known for being stable, light on the controls, and easy to fly, it featured a huge cabin, luxurious amenities and had an impressive payload capacity. 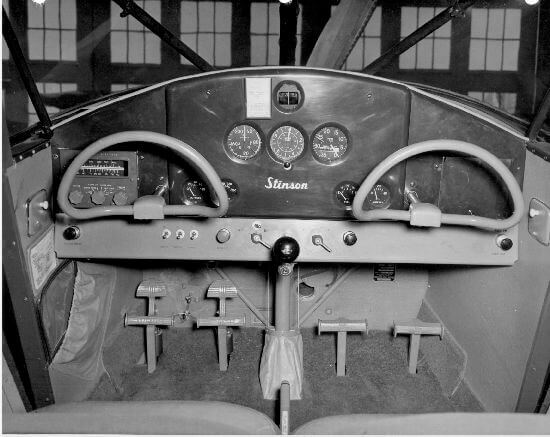 When Stinson was bought by Piper in 1950, they produced the model for a few more years. This title contains flight and service manuals for the 108 Voyager. The files have been scanned from the original flight manuals and retain any colour pages. 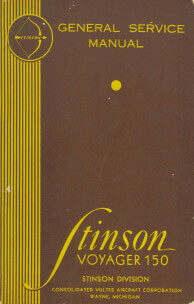 Owners Operating Manual for the Stinson Voyager 150, dated 1946 with approx 33 pages. 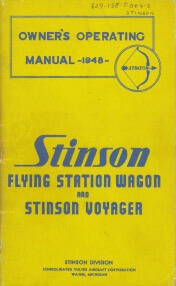 Owners Operating Manual for the Stinson Flying Station Wagon and Voyager, dated 1948 with approx 39 pages. 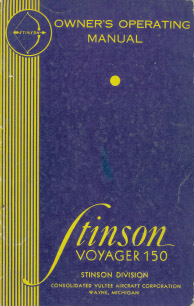 General Service Manual for the Stinson Voyager 150 dated 1946 with approx 147 pages.